We’d love your help. 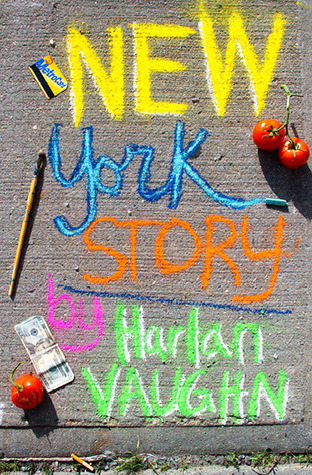 Let us know what’s wrong with this preview of New York Story by Harlan Vaughn. Roommates. Apartment hunting. The single life. Competition. The New York persona. Ah, New York - a city filled with anything you can possibly imagine. What is it like to move here with nothing and build a new life? I'm Harlan. Before I lived here, I was a nice boy from the South. One day, I decided to make the move to New York to see what would happen. This is one side of Roommates. Apartment hunting. The single life. Competition. The New York persona. What is it like to move here with nothing and build a new life? I'm Harlan. Before I lived here, I was a nice boy from the South. One day, I decided to make the move to New York to see what would happen. This is one side of an eight-million-sided story. New York Story is a book of essays about living, loving, and surviving in New York. It's humorous and heartfelt, with a smidge of advice gained from experience thrown in. What happens when a place changes your life overnight? What does it mean to start over in a new city? Told in an honest, original voice, this is my story. To ask other readers questions about New York Story, please sign up. The moment I worked out this wasn't fiction (and it took a while!) I took to reading it with a completely different view. I enjoyed the rawness of the story, understanding the emotions that were expressed and feeling like I was reading a human which was wonderful, I was also fully intrigued by New York, since I've never been there it was interesting to near about it from someone who has knowledge in it. All in all it was a good read! There are a million books out there that romanticize New York. This is not one of them. This book is a sincere, nose-to-the-grindstone insider's look at the City that Never Sleeps. Harlan writes in a lovely, quirky voice that makes you instantly fall in love with him. You immediately feel for this starry-eyed twenty-something from Mississippi who one day wakes up and decides to move to the Big Apple with no money, no job, and no plan except to live. This book shows the side of New York you rarely There are a million books out there that romanticize New York. This is not one of them. This book shows the side of New York you rarely hear about. The roommates, the jobs, the friendships and the lovers- even people who don't live in New York will love this story of young artist trying to break into the city any way he can. A good primer for folks who know little about big cities, especially the biggest of all in ways other than population and geography. And an emotional core in a wine bar to boot! Author and painter currently living in Brooklyn, New York. Interested in gay issues and themes that are whimsical/apocalyptic/dystopian. I also write poetry. Follow me on Twitter - @harlanvaughn for updates. harlanvaughn.com is my website - please visit.